The WiFi Alliance have started certification of 60Ghz WiFi (IEEE 802.11ad). This is an important move as 60Ghz allows efficient high-speed throughput (up-to several gigabit) with very low latency. The 60Ghz spectrum is also considerably less congested than the 5Ghz and 2.4Ghz spectrum currently in use. 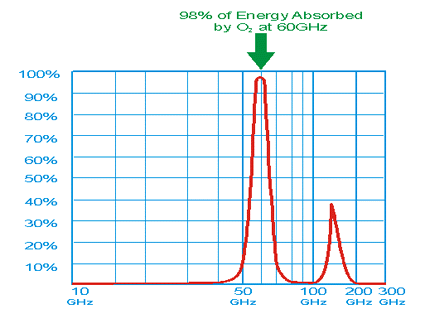 There is an unlicensed section of the 60Ghz spectrum for wireless usage the same as with 2.4Ghz and 5GHz. High frequency spectrum does however suffer from very limited range when penetrating though physical barriers such as walls and furniture, so won’t deliver whole house coverage. What it does provide is very low latency and a high throughput in “line of site” scenarios. Having deployed, and consulted, on various WISP projects using long distance wireless links between buildings, problems we often come across are to do with the Fresnel Zone. You can find out more about Fresnel Zones here. For you to achieve anything near hardware advertised link speed, you will need to keep at least 60-80% (ideally more) of your Fresnel zone clear. There are many different calculators online to help you calculate your Fresnel Zone. In open space, short link problems are easily solved by the use of a mast to keep the dishes clear of the ground - this can become a larger problem in built up areas like towns or cities. For longer links, we even need to take into account the curvature of the earth getting in the way of a Fresnel zone! There are vendors that have claimed that their Point-to-Point WiFi units will deliver 100Km in distance between units. We can carry out that calculation now to prove how unrealistic this is. We have a Fresnel Zone of around 40m for a 100Km link running at 5Ghz. Then, we take into account of the earth curvature (196m at the midpoint of the link), add that to the Fresnel Zone, and we find that we’d need to be installing masts of 240m! We’re not sure any of our engineers would want to climb that mast to install the radios. 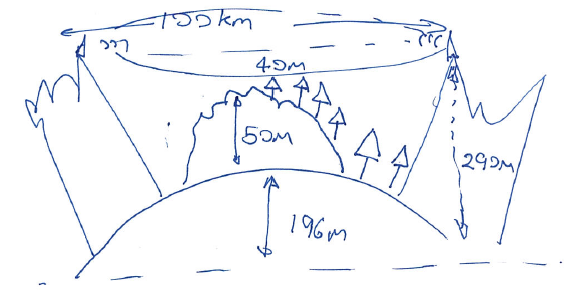 Let’s take a 1Km link running at 5Ghz; this will have a Fresnel zone of 5m and with the Earth’s height at the midpoint being only 0.02m, it’s not an impossible task to maintain 5m of clear space on the link. A short mast can achieve this and the radio units will remain stable. As both a MikroTik consultant and trainer I had the pleasure of attending the MikroTik User Meeting in Europe at the beginning of April, and saw the announcement of their new 60Gh Wireless Wire Dish units, and see them in action in the conference hall. These units should deliver 1Gb on links up to 1.5Km. These 60Ghz links, are great for distances up to 1.5km but will struggle at anything more than that. 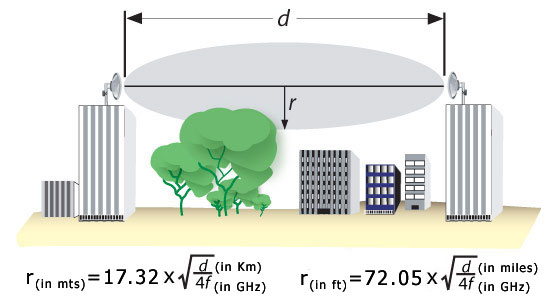 This 1.5Km limit is due to the absorption of the 60GHz signal by oxygen in the atmosphere (see the image above). While limited by usable distance, it does eliminate interference from other units, allowing very dense deployment to perform well in dense areas. These 60Ghz links could also useful to WISP and other similar users needing high-speed links up to 1.5Km. 60Ghz links could also be useful for short links (upto 200m) and also point-to-multipoint links, however at this point in time these short links are not licence exempt in the UK. OFCOM has carried out a consultation on this and is on their proposed strategy for the use of the 60Ghz spectrum for these type of links. MikroTik also have a short range 60Ghz unit already in production, which I happen to have a set of under my desk. These are ready to use and should give us very high speed and low latency links under 200m, for which there are many uses. I just can’t wait to be able to use them in the UK!